« Our Photo Album Is Here! 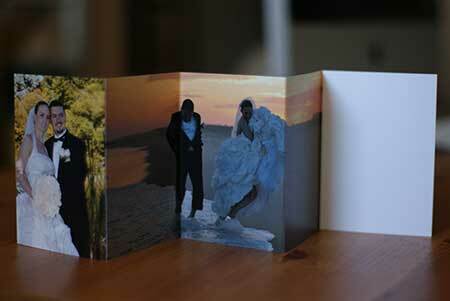 After we received our photos we ordered a couple of sample thank you cards. 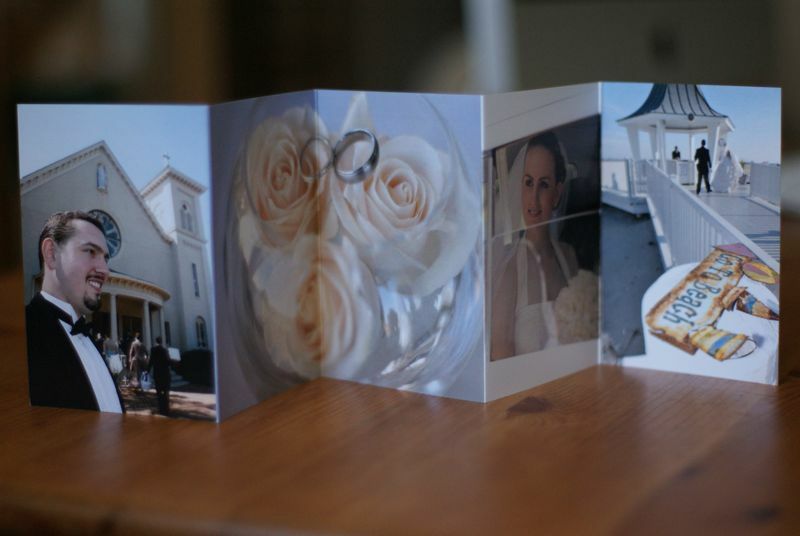 Originally I had really wanted an accordion style card so we could share more photos, but they weren’t quite what we were expecting. I didn’t realize the base size was 3.5×5 (I was thinking it would be 4×6) and the quality of the print wasn’t as good as we were expecting. 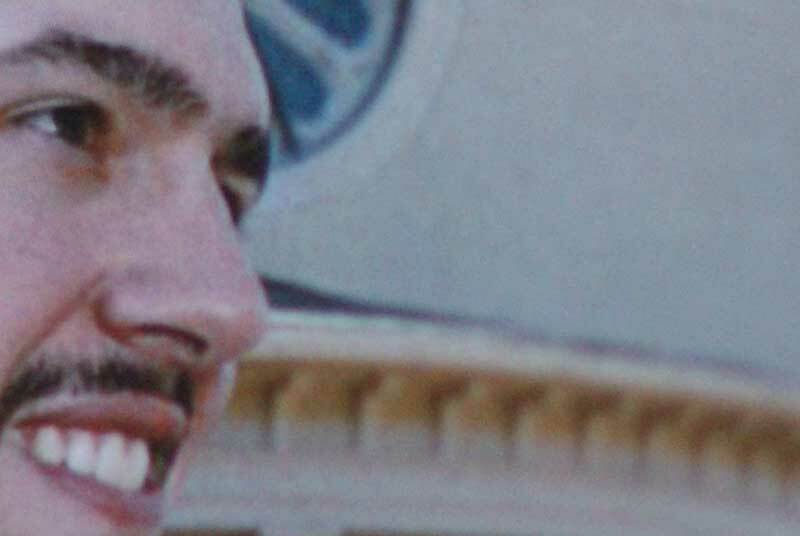 It reminded us of those digital disposable cameras, which had a grainy appearance and the color was a little off (for example, a brilliant blue sky came out looking pale blue-grey). So we decided to go with a 5×7 fold thank you card, created in iPhoto. 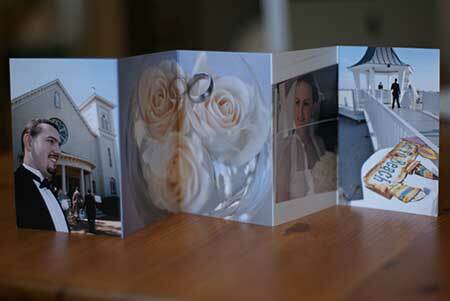 We were really pleased with the quality of the print and the paper as well as the larger size. I placed the full order yesterday. As soon as they arrive we are going to get moving on writing and sending them! I’m not posting a photo of the card we did choose, so if you’re reading this before we send them it won’t ruin the surprise. This entry was posted on Thursday, February 4th, 2010 at 3:19 pm	and is filed under Photography. You can follow any responses to this entry through the RSS 2.0 feed. You can leave a response, or trackback from your own site.